Although JapanCulture•NYC’s Ramen Week is officially over, any trip to Japan awakens our hunger for ramen. 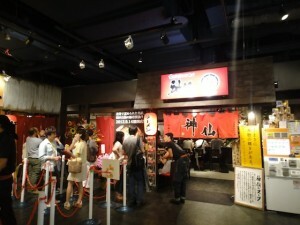 What better place to have the amazing noodle dish than in Fukuoka? We’ve been spending our days exploring western Japan by rail and our nights enjoying Hakata’s legendary yatai. With a typhoon threatening Fukuoka, we decided to stay close to home base and visit Ramen Stadium, which is located in Canal City Hakata, the mall attached to our hotel. To be honest, Ramen Stadium isn’t as impressive as its name implies. It’s not a major college football stadium packed with more than 100 thousand fans; it’s not even Iron Chef’s Kitchen Stadium It’s more like a glorified food court dedicated to ramen – and there’s nothing wrong with that, especially since it includes that typical Japanese attention to detail and enthusiastic customer service. 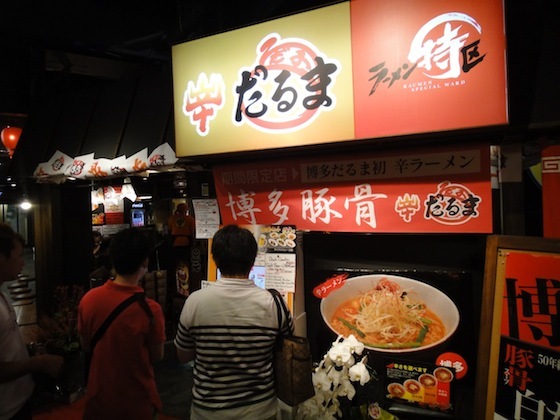 The eight restaurants in Ramen Stadium features ramen from different areas of Japan, but the star of the show is Hakata ramen, Fukuoka’s authentic Kyushu tonkotsu (pork-based) broth and thin noodles. Each restaurant competes for customers with a staff member trying to convince people to eat there. It creates a noisy atmosphere that can be intimidating at first. But it’s actually easy to navigate Ramen Stadium. Once you choose the restaurant you like – we made our decision based on how welcoming the energetic staff member was – and use the vending machine to select your meal. 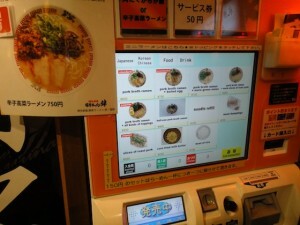 The digital touch screen can be switched to English and other languages if you’re not comfortable ordering in Japanese. 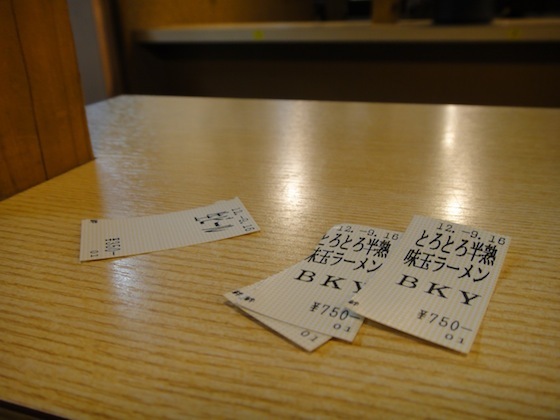 The machine will take your money and give you tickets, which you will in turn hand to a waiter who will seat you. 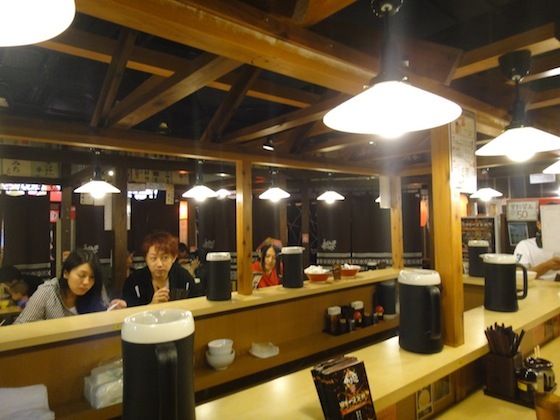 We know it’s a tourist-type of place, but the ramen was good. 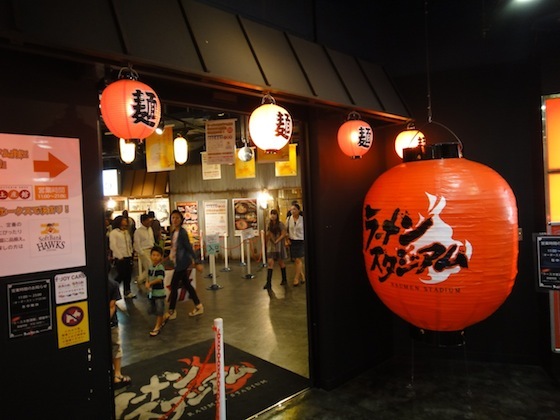 Obviously, we recommend a more traditional style of ramen shop – or better yet, a yatai – but if you ever find yourself in Fukuoka with limited time but near Ramen Stadium, it’s a fun way to sample a few styles of Japanese ramen. Next Next post: Happy Birthday, Cup Noodle!